Back post wall mounted. Clamp and black knob secures the rail at the required height. 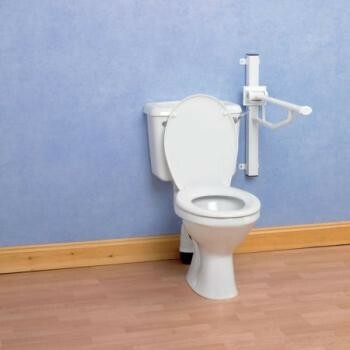 Height Adjustable Folding Support Rail...Back post wall mounted. Clamp and black knob secures the rail at the required height. Height adjustment 240mm (91/2") in 60mm increments.Maximum User Weight: 20 Stone (127kg).